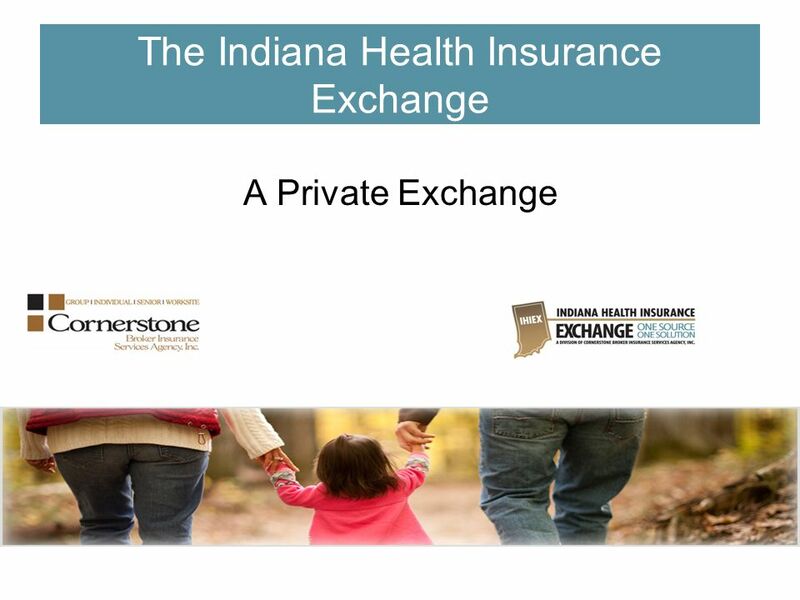 The Indiana Health Insurance Exchange A Private Exchange. 4 Key Components Easy to Use! Information is displayed in an easy to use format and follows a next step approach. 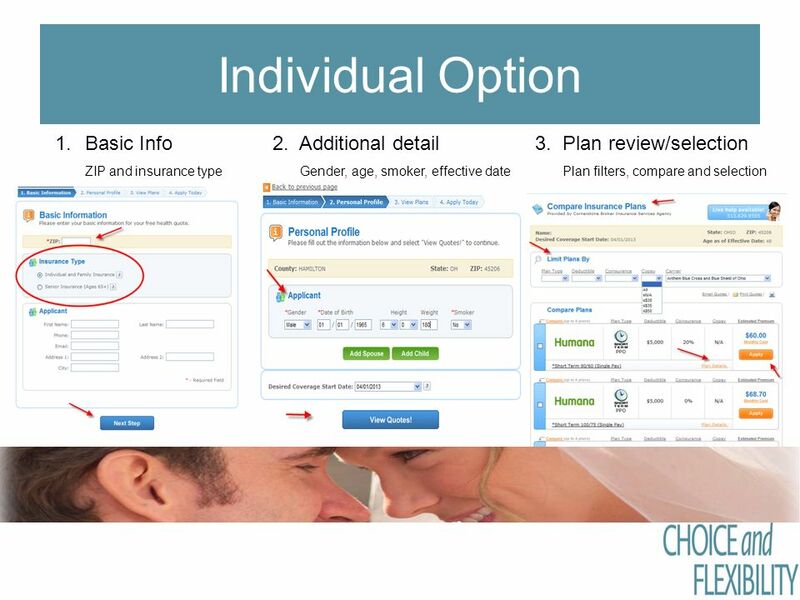 A variety of filter options makes narrowing plan choices a simple process as well. 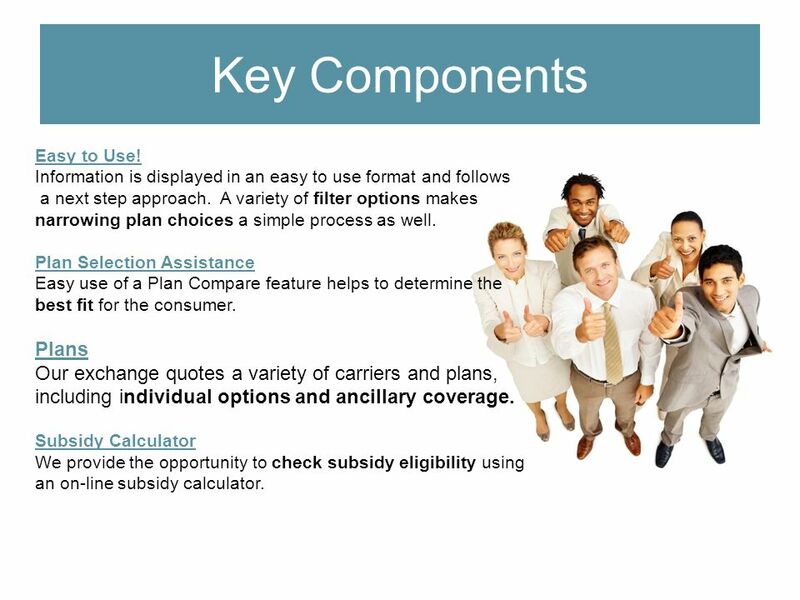 Plan Selection Assistance Easy use of a Plan Compare feature helps to determine the best fit for the consumer. 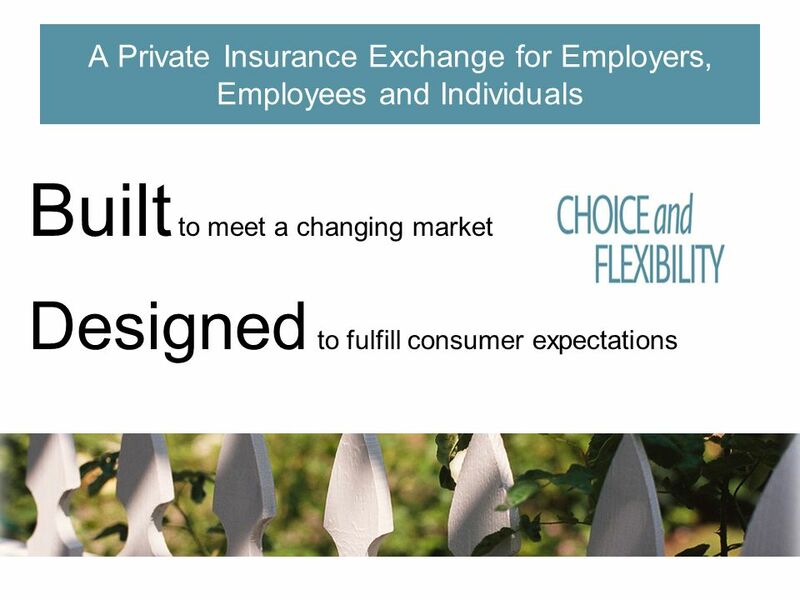 Plans Our exchange quotes a variety of carriers and plans, including individual options and ancillary coverage. Subsidy Calculator We provide the opportunity to check subsidy eligibility using an on-line subsidy calculator. 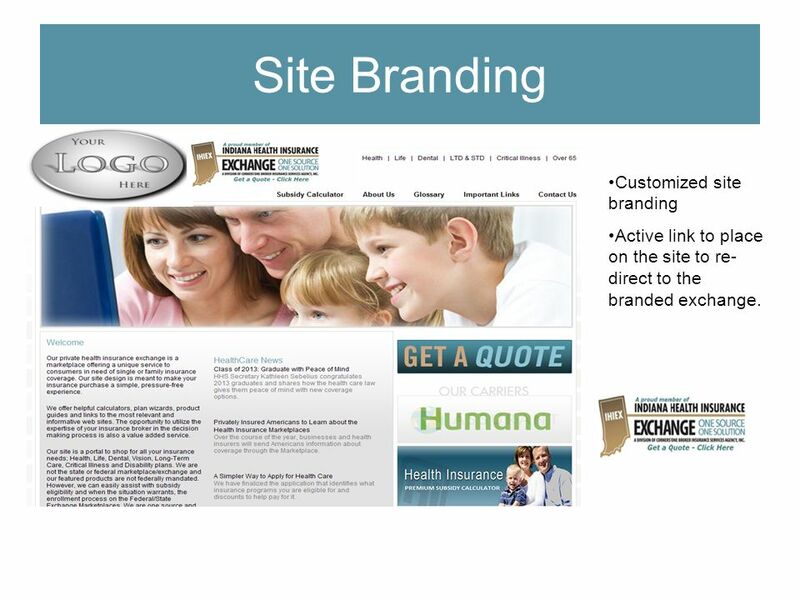 6 Site Branding Customized site branding Active link to place on the site to re- direct to the branded exchange. 14 Summary Our goal is to make continual, timely updates and worthwhile enhancements ensuring a process that is both easy to use and understand for brokers and consumers alike. 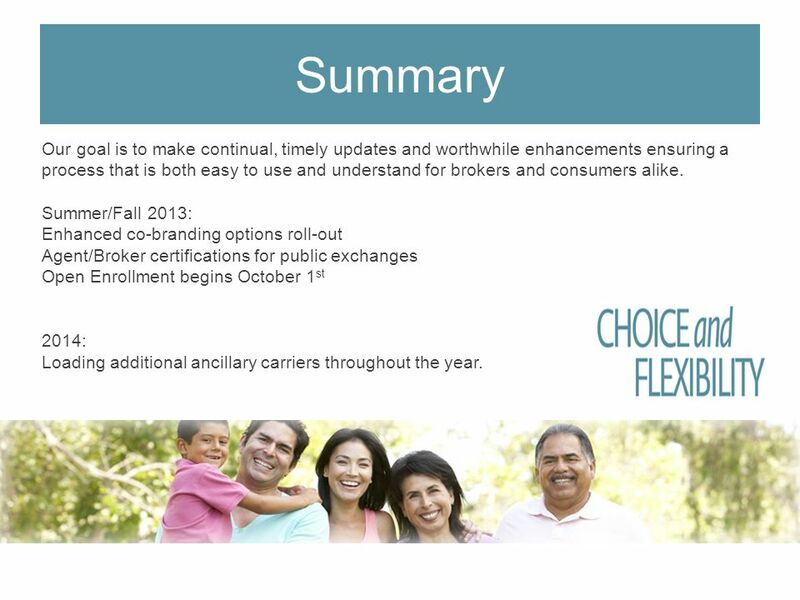 Summer/Fall 2013: Enhanced co-branding options roll-out Agent/Broker certifications for public exchanges Open Enrollment begins October 1 st 2014: Loading additional ancillary carriers throughout the year. 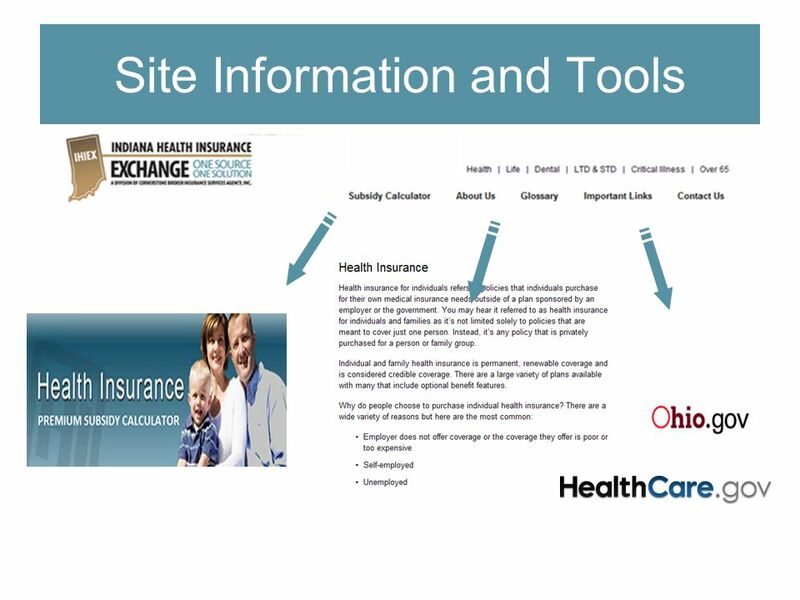 Download ppt "The Indiana Health Insurance Exchange A Private Exchange." Individual Experience Advisory Group June 5, 2012. Terry Gardiner Small Business Majority February 22, 2012 Features of Health Insurance Exchanges That Could Attract Small Business Customers. 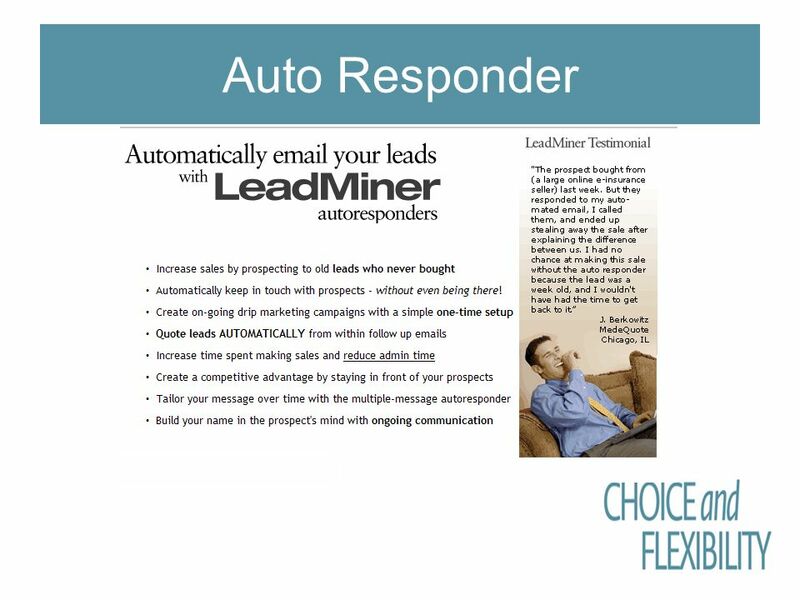 Electronic Agent Sales Experience For agent use only. J (06/2005) © 2005 Assurant, Inc. All rights reserved. 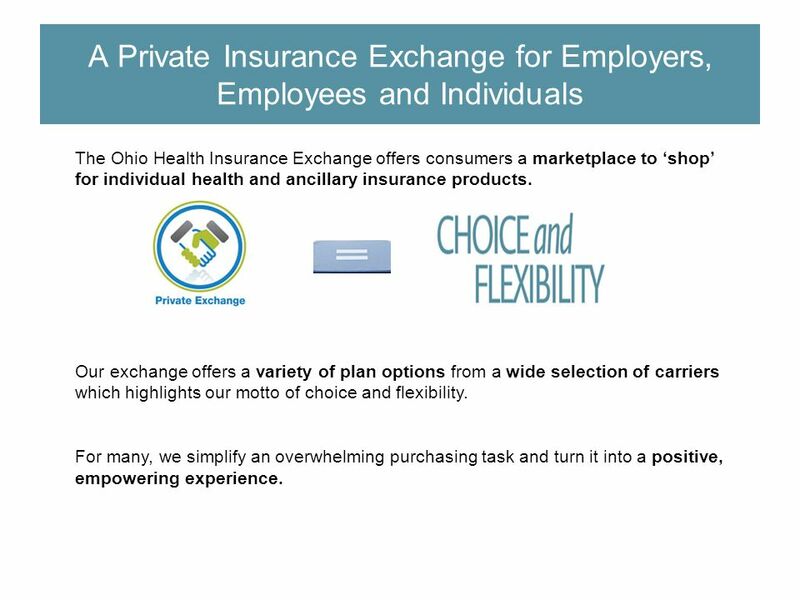 The Ohio Health Insurance Exchange A Private Exchange. DC HBX Insurance Subcommittee August 28, What is the DC HBX? 2. DC Health Link SHOP Mila Kofman, JD Executive Director DC Health Benefit Exchange Authority. Rosemarie Day Deputy Director and Chief Operating Officer Thursday, May 8, 2008 Operations Report Current Priorities and Future Plans. Commonwealth Choice CONTRIBUTORY PLAN Overview of Product Shopping Experience October 17, 2008 Your Connection to Good Health. 2 Connecting Millions of Americans with Health Coverage: The Opportunity. Presented by RSM John B. Doe on February 20, 2008 for Susan B. 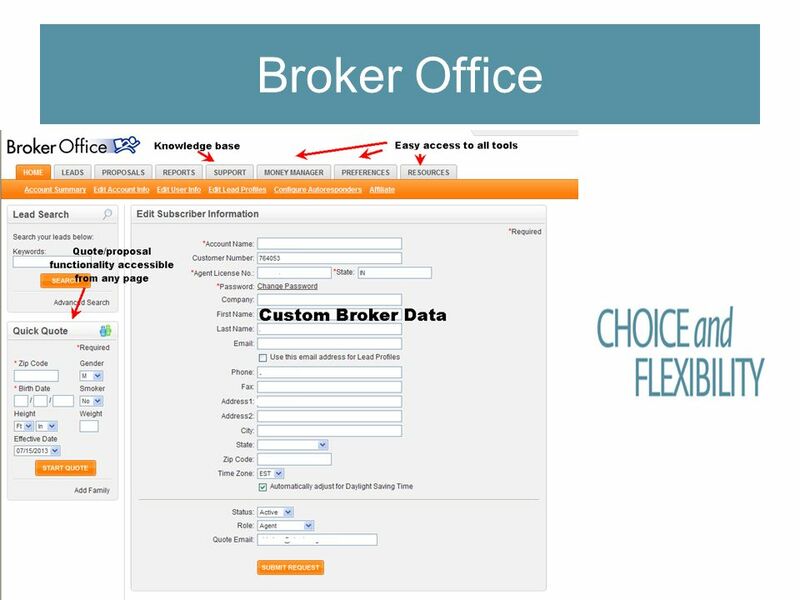 Broker YOUR ONE STOP SHOP FOR 51+ GROUP. 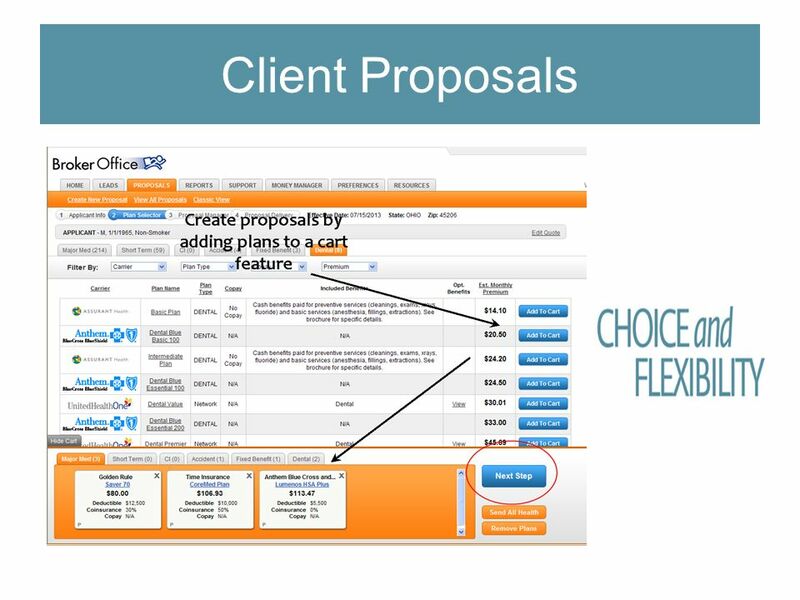 CONSUMER & COMMERCIAL PERFORMANCE SOLUTIONS | FOR INTERNAL USE ONLY | DO NOT COPY OR DISTRIBUTE | © COPYRIGHT WELLPOINT, INC. Producer Toolbox Exchange. 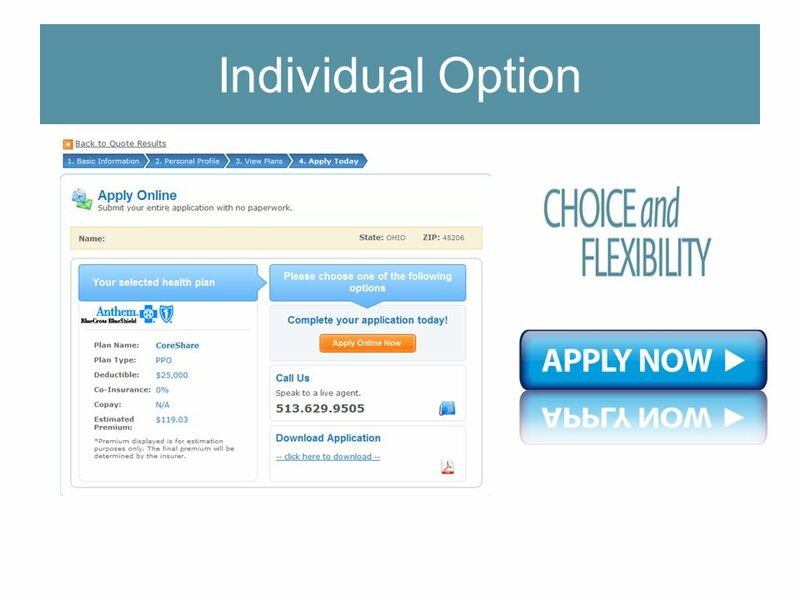 On-Line Enrollment and Eligibility Management System OutsourceOne’s WebOne version 5.5 OutsourceOne’s WebOne version 5.5. Leading change for a healthier Colorado Health Care in Colorado: Changes in Health Coverage Gretchen Hammer November 15, 2013. 1 Oregon’s HIX: An Update Barney Speight Portland Actuarial Club Feb. 22, 2011. 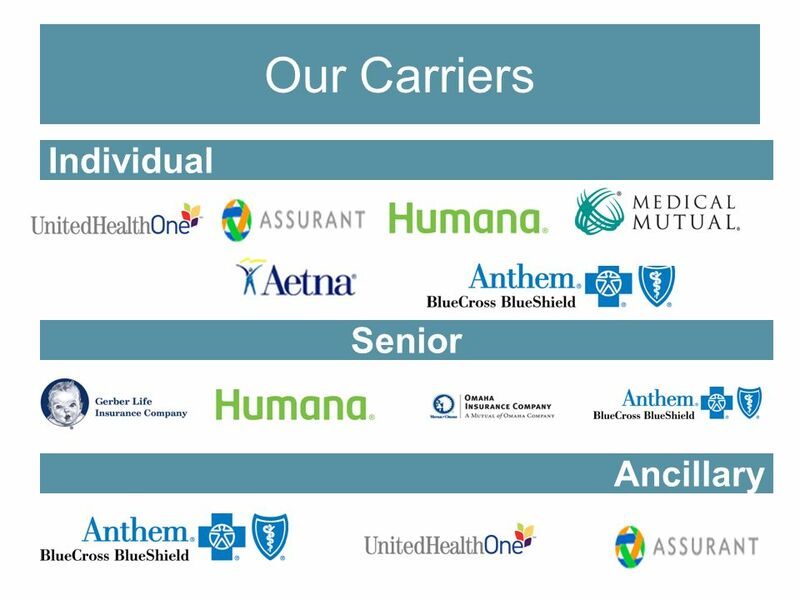 The NEW Retail Market An Overview The Health Insurance Marketplace and the NEW CO-OP Option Consumers' Choice Health Insurance Company. CoPower ONE And You’re Done. 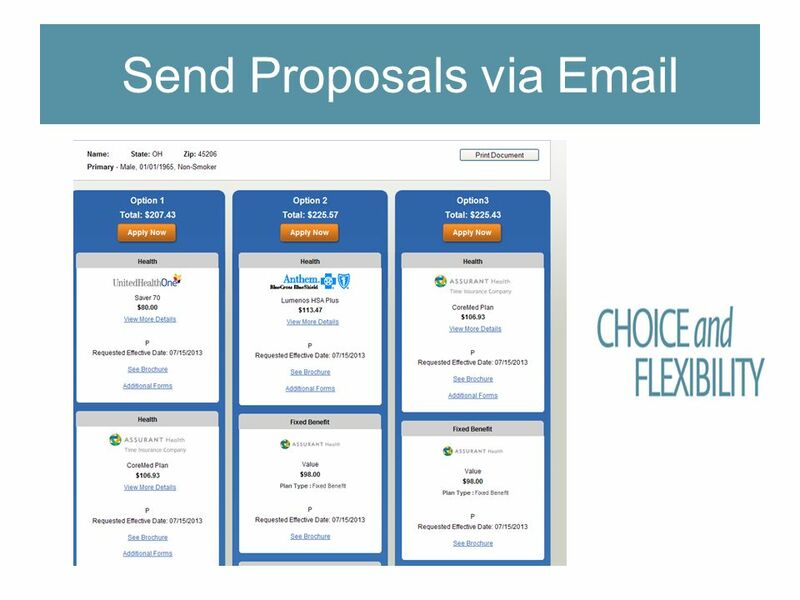 It’s Easy.. CoPower ONE TM features comprehensive packages of dental, vision and life coverage at a blended rate per employee.